The North American Shingo Prize recognizes business excellence in the United States, Canada and Mexico. It was established to create increased awareness, development, and implementation of lean manufacturing principles and techniques. The goal of the North American Shingo Prize is to make manufacturing facilities and other industries more competitive in the global marketplace, illustrating how world-class results can be achieved through the implementation of lean principles and techniques in core manufacturing and other business processes. Consider attending the Northeast Shingo Conference in Springfield, MA on October 5-6, 2011. 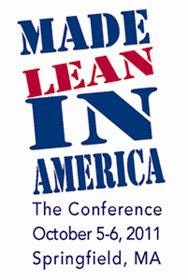 The theme is "Made Lean in America" and the idea is to gather hundreds of people to make a strong statement about the ability of companies to use lean to remain a strong and vital part of the American economy. For these organizations, Lean means creating employment opportunities at home: good jobs, a strong tax base, a brighter future. Long-term thinking is emerging: America can compete through the use of lean thinking. Add your voice this year. If you are still not convinced you can revisit my review from last year's exhilarating conference. It was such an energizing learning environment sharing Lean thinking with so many like minded practitioners. I will be attending again this year and I know you will find this a valuable experience as well. My dear friends at GBMP are the educational partner of Shingo Prize for Operational Excellence in the Northeastern region of the United States. 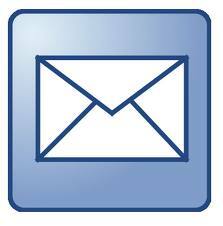 It is an excellent opportunity for regional manufacturers, as well as other industries. The Northeastern region is comprised of 11 states: Maine, Vermont, New Hampshire, Massachusetts, Connecticut, Rhode Island, New York, Pennsylvania, New Jersey, Delaware and Maryland.